First before you do anything you should always have valid backup, head for this place for guidance how to create USB recovery drive! This will start the patch installation for Windows 8.1 Preview, this shouldn’t take that long, mine took about 10 minutes from downloaded file until I was logged in again. 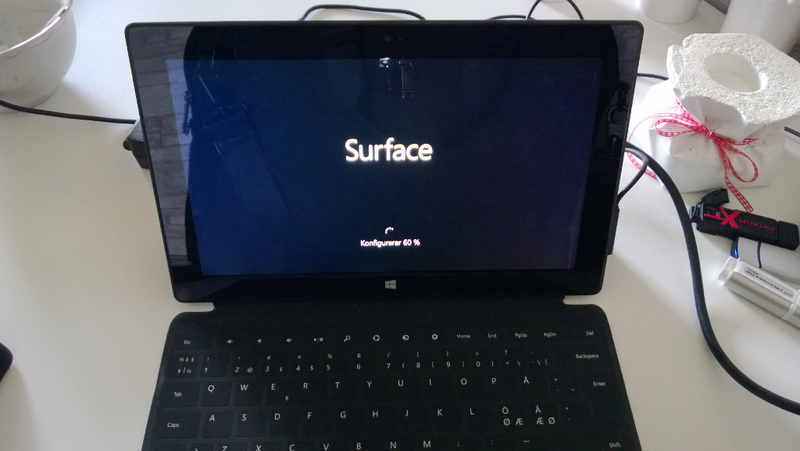 After login you will get a message Go to online store to download Windows 8.1 Preview. 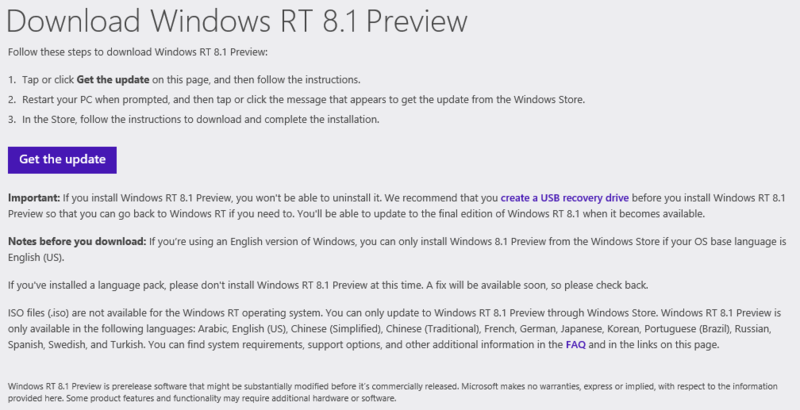 Press the button and from the Windows RT 8.1 Preview store page choose download, during the download you can still use the Surface. Sorry for the Swedish, but the button says Download and the you may follow the installation from the Store app. After a restart it will look something like this and it took about 30 minutes for me to finalize the installation and could logon to my Surface again. Now you can use all the new nice features, like customize the start screen, lock screen, split apps, start button in desktop mode, etc..